Footprints tapestry shows a scene of footprints in the sand with the famous footprints verse. The poem reads "My precious child. I love you and will never leave you during your trials and testings. 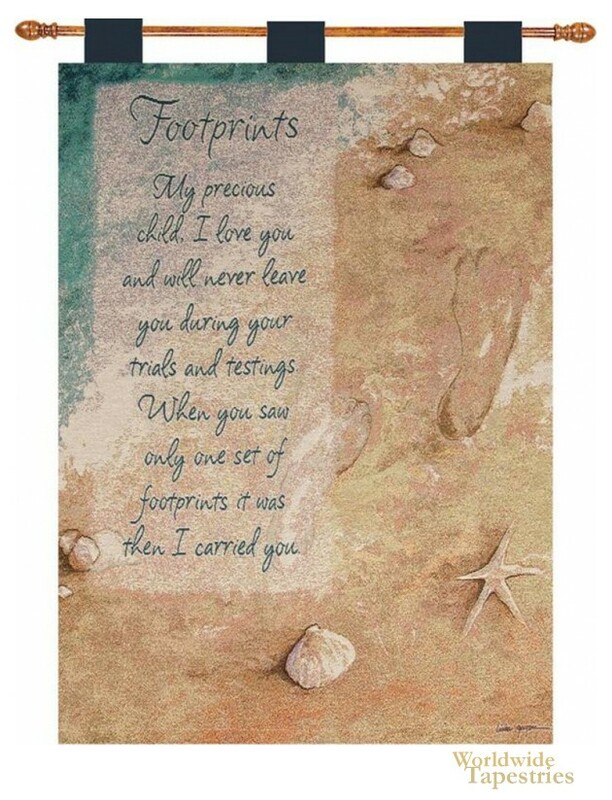 When you saw only one set of footprints it was then I carried you". This inspirational Footprints tapestry is backed with a lining and a tunnel for easy hanging. Note: tapestry rods and tassels, where pictured, are not included in the price.